Maltese players under the age of 21 have amassed a total of 223 appearances (minimum playing time of 30 minutes) in the first round of the 2018-19 BOV Premier League. Statistics on the appearances made by young Maltese players in all divisions in the first half of this season were given by Dr Angelo Chetcuti, the General Secretary of the Malta FA, during the first meeting of the Association’s Council for 2019, held on Thursday afternoon. From this season, clubs are being financially rewarded for every Maltese player under the age of 21 who plays for a minimum of 30 minutes during a competitive match. In the first half of season 2018-19, clubs stand to benefit from an aggregate sum of €81,555 under the Young Players Development Fund, launched at the last Malta FA Annual General Meeting in July to encourage clubs to give upcoming Maltese prospects more first-team opportunities. 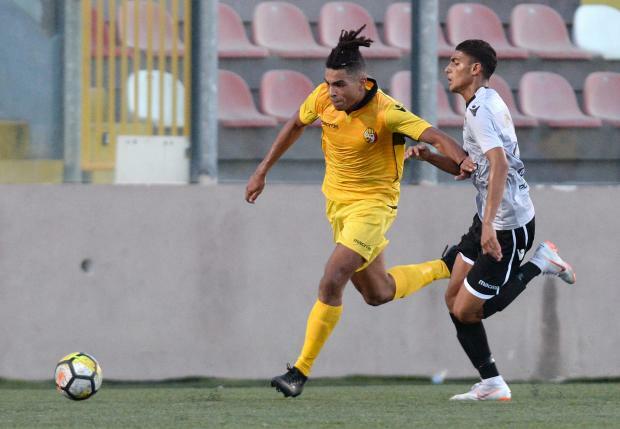 The 223 appearances by under-21 players will yield €27,875 in financial incentives to BOV Premier League clubs with Qormi FC leading the way with a total of 42 appearances. Mosta are second on the list with 33 appearances. St Andrews have used six under-21 players (30 minutes or more) so far this season followed by Mosta, Pietà Hotspurs and Qormi with four players each. In the BOV First Division, young Maltese players (born on 01/01/1997 or after) have made a total of 271 appearances – €18,970 in financial payments to clubs. San Ġwann top the chart with 56 appearances followed by Vittoriosa Stars (39). In the BOV Second Division championship, the number of appearances (30 minutes or more) by under-21 Maltese players has reached 416 in the first four months of the season with the clubs set to share €24,960 in financial benefits. In this category, Melita boast the best total – 76 appearances, followed by Luqa St Andrews with 51. Appearances by young Maltese players in the 2018-19 BOV Third Division so far is 195 for a total of €9,750 in financial benefits for clubs. Attard top the list with 43 appearances, five more than Msida St Joseph. At Thursday’s meeting, Dr Chetcuti explained the Malta FA’s course of action following the lawsuit filed by former Naxxar Lions president Yahya Kirdi in Canada. Kirdi is suing Naxxar Lions, the Malta FA and other persons for damages. Dr Chetcuti said that the Malta FA have declared their intention to contest Kirdi’s claims. The documents were submitted by a Canadian law firm on behalf of all defendants in accordance with Canadian laws. Kirdi has been removed from the Malta FA for initiating civil legal proceedings against the Association without the written permission of the Council in breach of Article 155 of the Association’s statute. Naxxar Lions have been given permission to take legal action against Kirdi to defend their interests. Malta FA Vice-President Dr Matthew Paris gave an update on the educational initiatives undertaken by the Association with the aim of enhancing the knowledge and skills of persons involved in local football. The final session of the second edition of the Malta FA Course in Football Administration (CFA) was held a few weeks ago with a presentation from Thierry Favre, Head of National Associations Development at UEFA. Dr Paris said the Malta FA has concluded discussions with the Institute for Physical Education and Sport (IPES) at the University of Malta over the introduction of a more advanced course in sports administration which will also encompass other sporting disciplines apart from football. Furthermore, the Malta FA has indicated its interest to host one of the editions of the UEFA Certificate in Football Management course. The Malta FA is also funding a series of first-aid courses to train more persons involved in football, especially at club level, in the administration of first-aid procedures.